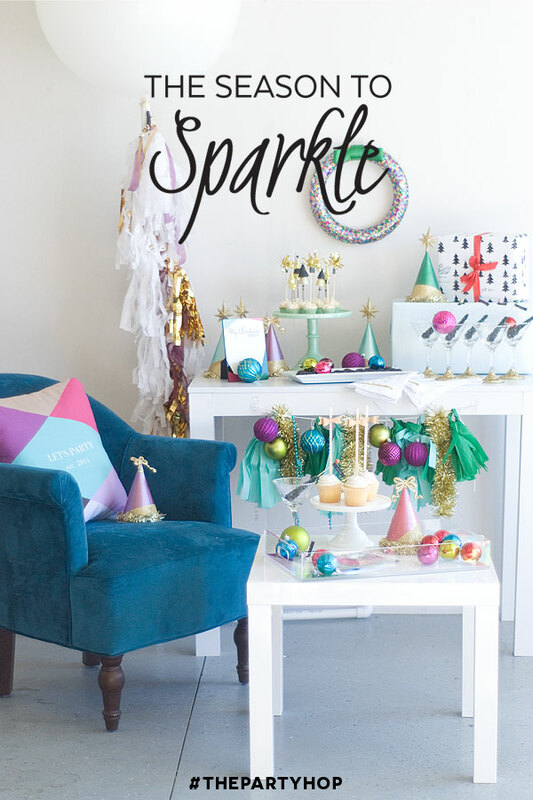 We’re so excited for the last installment of Season to Sparkle glittery-ness today! 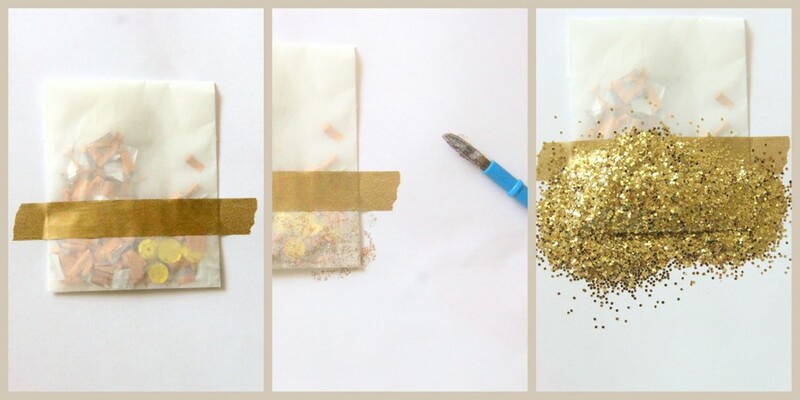 First up, our very own tutorial for glitter confetti sparkle scatter-ers. 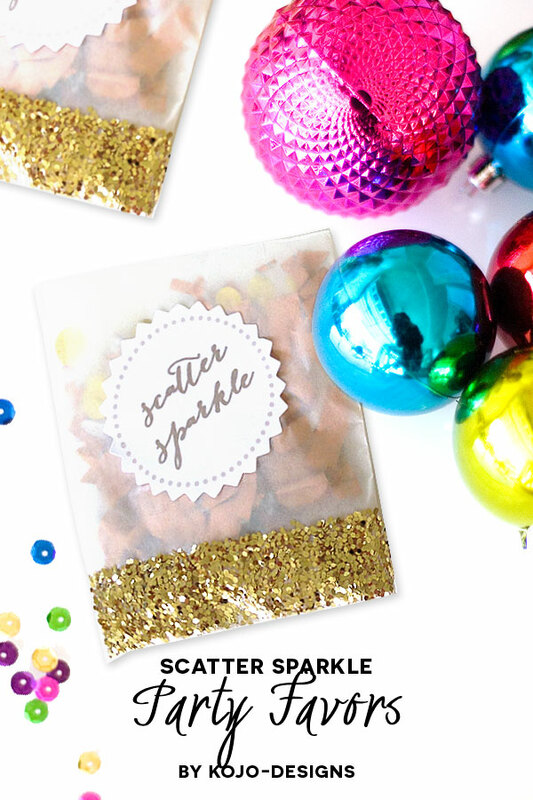 Y’all, I am smitten with these little gems (especially since I firmly believe that all occasions are better with confetti… and glitter). 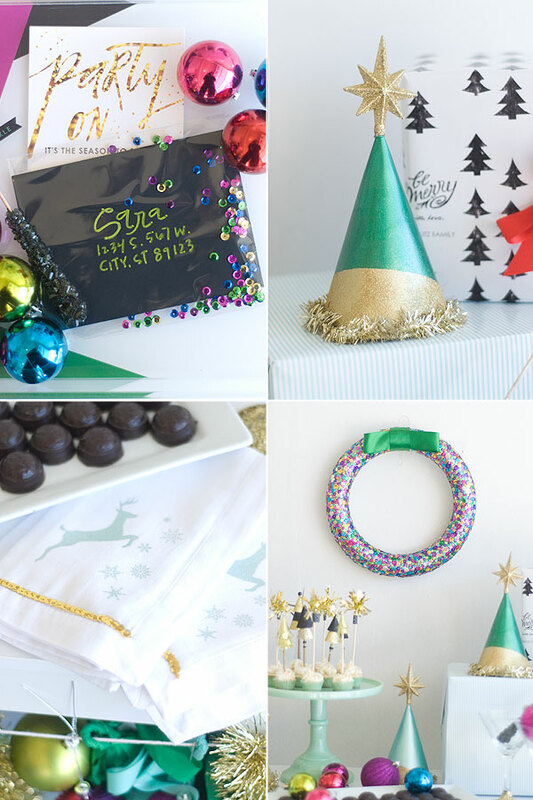 To make glitter confetti packets for your party guests, gather small glassine bags, sequins, metallic confetti and glitter, the free printable labels (download here), and metallic washi tape. 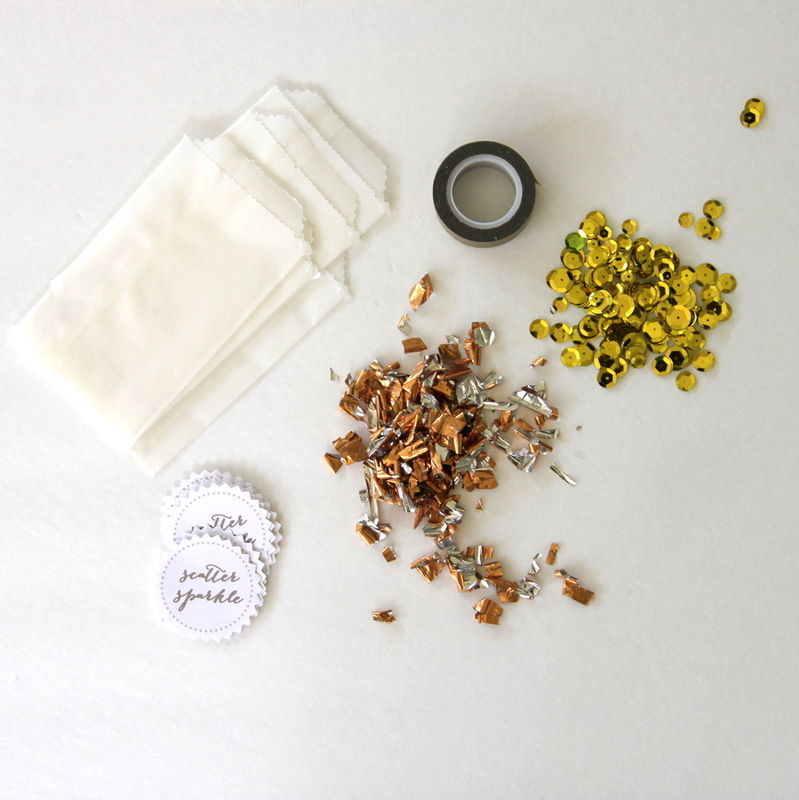 Fill the glassine bag with confetti and sequins, tape shut with metallic washi tape, add a label on the front of the packet. 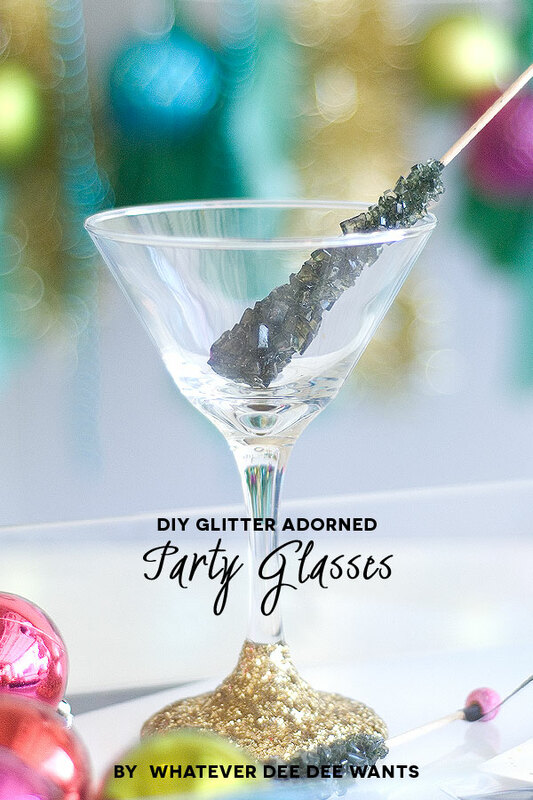 Then, to add a stripe of glitter at the bottom, add a piece of tape to provide a straight line, paint below the tape (and even overlapping the tape a little) with glitter paint. Sprinkle glitter on top of the paint. Shake excess glitter off and let dry. 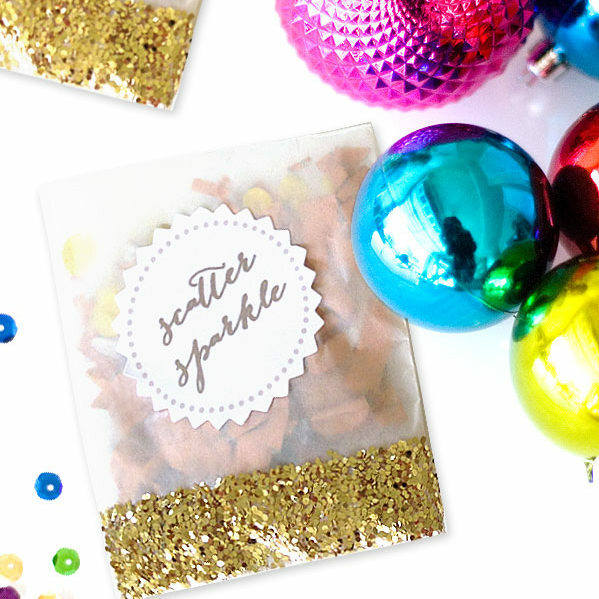 Glitter Confetti Packets done- and ready for adding a little extra sparkle to any party! 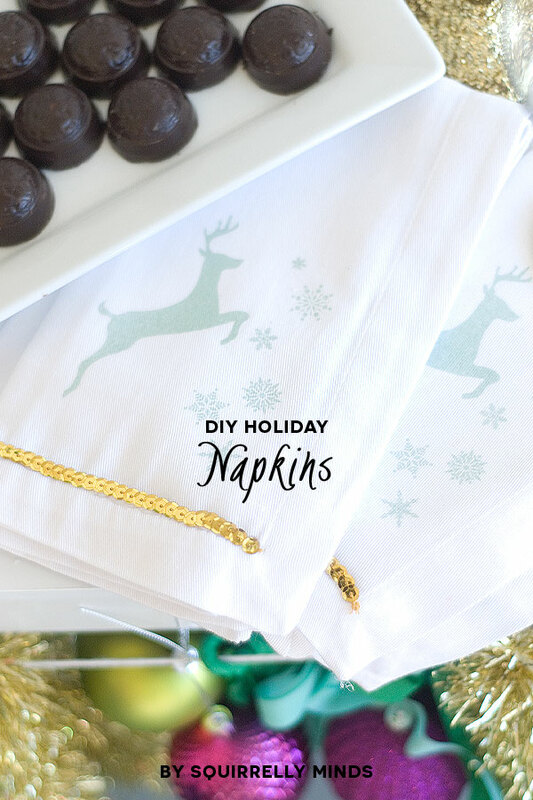 … and these DIY holiday napkins by Squirrelly Minds. Love the sparkle! Can’t wait to try some of these out! Thanks again to Tiny Prints and to Sara from Confetti Sunshine for the idea and the gorgeous styling!